I am currently somewhere between a third and halfway through Tales of Graces f and I am getting pretty frustrated with it. It really isn’t due to any fault in the game, it is just not the game I wanted it to be when I started playing. My growing dislike of Tales of Graces f is really not fair to the game, which isn’t really that bad. JRPGs are kind of my thing. That is my go to genre; JRPGs are my comfort food. Especially games on the SNES and PS1. That is not to say that I like all of them or that I don’t like any from earlier or later console generations. There is just something soothing about the often cliché stories and exploring the worlds of those games. For the last few months, I really haven’t played any of those kinds of games. The closest I’ve dug into is Persona Q which, while enjoyable, is really not the same thing. 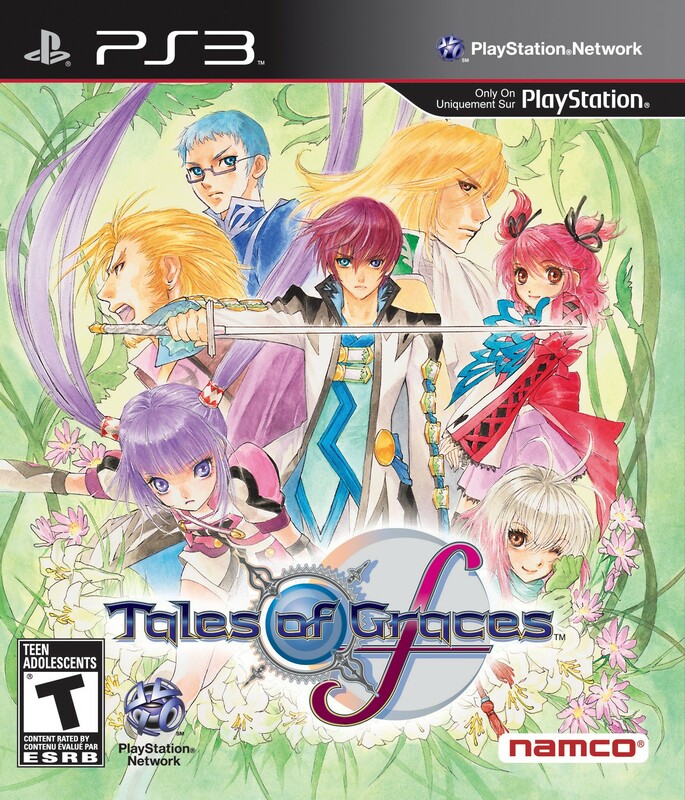 The thing is, as much as I wanted it to be, Tales of Graces f really isn’t either. What I really wanted was a game with a big world map to explore, something to give a real sense of another world. I want to explore, or at least to appear to explore, some fantasy world. Tales of Graces f doesn’t provide that in any meaningful way. Wanting that from the game is not outrageous; it is something that all the other Tales of games that I have played have provided. The first I played was Tales of Symphonia, which is exactly the sort of game I was looking for. It has a massive over world to mess around in and one of the most pleasant, dopiest stories I can recall seeing in a game. The next two games in the series I played, Tales of the Abyss and Tales of Legendia, flubbed at least one of those things, but how much I enjoyed Symphonia made me eager to give the series yet another shot. At first, Tales of Graces f seemed to be all that I wanted. The party the game shoves at the player are a largely enjoyable arrangement of anime tropes and the first glimpses of the world have the comfortable familiarity of well-worn fantasy tropes. It soon became apparent that the game wasn’t really what I wanted. Tales of Graces follows the Final Fantasy X school of game design. There is no big world to explore; it is all corridor-like paths leading from town to town. You follow those paths and go through the game’s story. While eventually you can go pretty much wherever you want, the game never really stops funneling the player down those paths. It is a style of game that can work. I really like FFX. But it isn’t really what I wanted. In older games the ability to explore is mostly an illusion. While the player can theoretically go anywhere, the world map tends to restrain the player into the places it wants them to be. However, that illusion is important. The second layer of abstraction, the different scale used for the world map than the towns, can make the world feel less real, but making it all one scale but hemming in the player everywhere makes it feel small. (Some games, like Dragon Quest 8 and Final Fantasy XII manage to have both) Without that exploring, the game becomes just story and battles. Tales of Graces’ story is not strong enough to hold my interest on its own and the battle system, at least so far, has not really required any mastery. 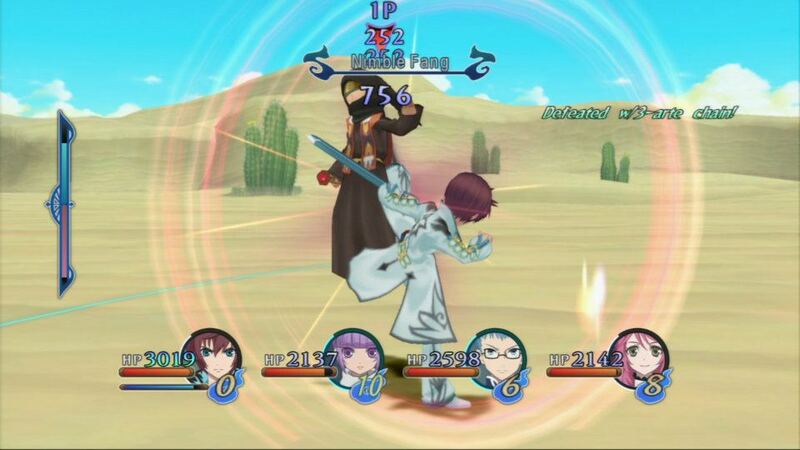 The battle system is the game’s strongest feature. They are fast and action while still allowing the player to do a lot of strategizing. The problem with it, so far at least, is that it tends to be really easy. Most battles are over in a matter of seconds and the biggest worry is using specific skills to unlock new titles, which is how this game manages customization. The game hasn’t really required me to really care how it works. It isn’t helped by the story bogging the game down early. The player spends most of their time running back and forth through the same paths, fighting the same enemies. While the player gets stronger, the enemies don’t, meaning that the already brainless battles become even easier. Honestly, though, the game’s biggest problem is that I am not 14 anymore. When I was a youngster, playing through games like FFVI, Chrono Trigger and Skies of Arcadia, among many others, were brand new experiences. Each game brought something new to the table. The clichés didn’t seem as clichéd to me, having not experienced them as often. What was once enjoyable goofy to me now just seems dumb. I think even then I might have rolled my eyes at basing a large part of the plot on a “friendship pact” or taking 5 minutes to painstakingly explain the concept of amnesia, but I find that barely tolerable these days. Of course, it is incredibly unfair of me to hold that against the game. Recognizing that doesn’t make me like the game any more than I do, unfortunately. “not the game I wanted it to be when I started playing” man have I had problems like that recently. Been going at Smash 4 for Wii U and 3D World on my WIi U, I just can’t feel the energy put into them…at least where it really makes the experience unlike any other.